In the not too distant past, home security video cameras were only for the rich and famous. Technological advancements and becoming digital has now made home security video cameras so economically priced that there is a system available for just about any budget. Elite-Mini Economy Series – Don’t let “mini economy” fool you. This system comes with a full array of features and uses the latest CODEC (COmpression/DECompression utility) H.264. The unit is accessible from smartphones such as the Iphone, Nokia, Android, Blackberry, etc. This unit is lacking a PTZ control connection and there is no HDMI video output. Elite Mini DVR – The home video security cameras used for this system are all run on the H.264 CODEC the latest and most efficient CODEC available today. The DVR has the ability to house one Hard Disk Drive (HDD) and a USB connection for downloading videos. It has many of the features of our full-sized Elite DVRs but does not support a CD/DVD burner. Elite DVR – This is a full-feature packed Enterprise level H.264 real-time DVR. The DVR supports multiple hard disk drives for extended storage times and also has room for a CD/DVD burner. This system is installed by many high end security companies that seek a quality based security system. Ultimate DVR – This system is called the “Ultimate” because there is no better word to describe it. This unit is not just for commercial purposes but makes for a very high end super-quality home security video camera system. The DVR records in real-time video at 4 times the resolution of any other standalone DVR available anywhere in the industry. In addition, the DVR can record D1 quality video in real time on all channels! We feel that Ultimate Series DVR System has the best quality DVR in the industry. 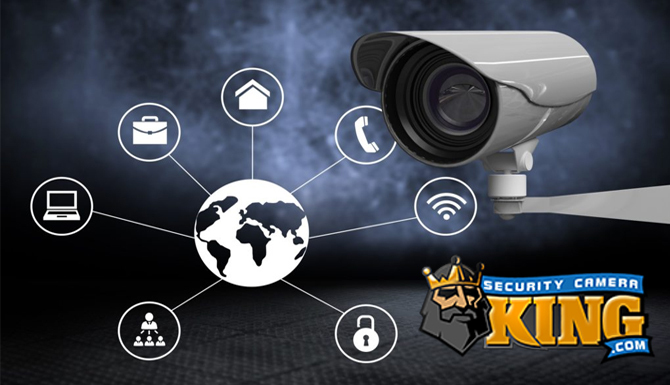 So now that you know there are four different types of DVRs (and basically four different types of systems) available from Security Camera King you should have no problem picking the system that is right for you. In addition any camera that we sell will work with these systems so if there is a particular home security video camera that you are looking for, chances are we have it and you can include it in your bundle package when purchasing your system. Security Camera King offers many different types of home security video cameras. 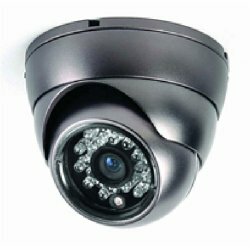 We offer box security cameras, bullet security cameras, indoor dome security cameras, fake security cameras, vandal proof dome security cameras (which come as a standard item when purchased with a system bundle), Pan-Tilt-Zoom or PTZ cameras, Network IP security Cameras, Explosion Proof Security Cameras, and hidden cameras. Realistically speaking, probably the most common indoor home security video camera is the dome camera. They are small, unobtrusive, and easy to install and produce great high-quality video images. Many are made as indoor/outdoor models. As a matter of fact, all of the bundled systems that Security Camera King offers for sale except the Ultimate bundle, include the 420 TVL Indoor/Outdoor Vandal Resistant Dome Camera Product#OD-LX420IR50 (The Ultimate system offers the same type of camera but with a greater resolution and offers the 550 TVL Indoor/Outdoor Vandal Resistant Dome Home Security Video Camera Product# OD-LX550IR50). 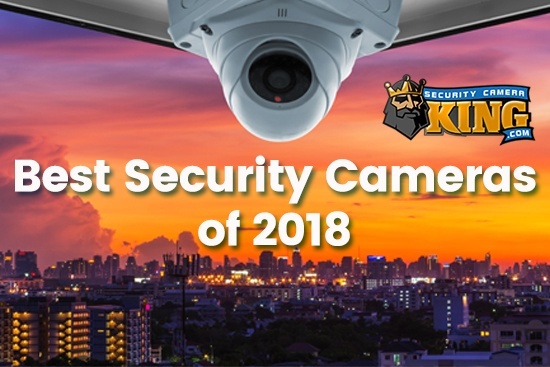 Of the cameras mentioned above, those most likely to be used as home Security Video Cameras are the box cameras, the bullet cameras, and the dome cameras. Box cameras are indoor cameras unless a separate weatherproof housing is purchased for them. However, for inside coverage, depending on the size and decor of the rooms, they may be a bit large and stick out too much. 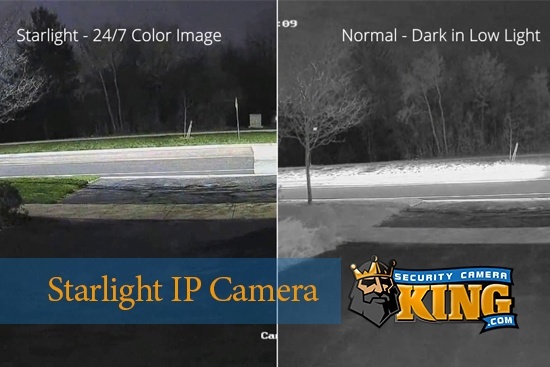 Bullet cameras make excellent outdoor home security video cameras because they already come with a weatherproof housing, and most come with their own InfraRed Light Emitting Diodes to record video in total darkness under infrared conditions. The dome camera seems to be the most versatile camera as far as home security video cameras are concerned. They have many additional features and one can purchase cameras with just about any kind of additional function. So, if your “in the market” for a home security video camera system, contact one of our security experts via “Live Chat” or telephone. We love to help!